FeralCars.com seeks to identify, analyze and, most importantly, celebrate a phenomenon that heretofore had no name. You see them every now and then, parked on the street, in driveways, tucked away in alleys. They’re the cars that, though old and seemingly unmaintained or, at best, under maintained, are still driven regularly on urban streets, rural roads and even interstate highways. We call them feral cars and they tend to blend in with the landscape. We think these wily survivors are remarkable providing transportation with a patina that speaks of mechanical perspicacity and resolute owners who are constantly beseeched by media and peer pressure to move away from these unsightly (to some – certainly not to us) rolling anachronisms. They’re feral, in a natural state, left to fend for themselves but, against the odds, continue to thrive through adversity. FeralCars.com showcases these real cars, “caught in the wild,” from all over the U.S. and throughout the world. We’re based in Southern California where conditions are optimal for automotive longevity. We don’t salt our roads, it doesn’t rain much and cars do tend to hold up better but feral cars are everywhere – you just need to seek them out. We hope you do and send in photos of ones you encounter or happen to own along with a description of your quarry and circumstances of its “capture.” Upon reviewing submissions, we’ll provide background info and keen observations. We love survivors who recall the past as they soldier on into the future so this should make for a positive experience. 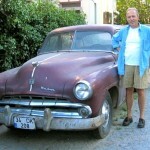 FeralCars.com was founded by Bob Merlis, an award-winning automotive journalist and card-carrying member of the Society of Automotive Historians. 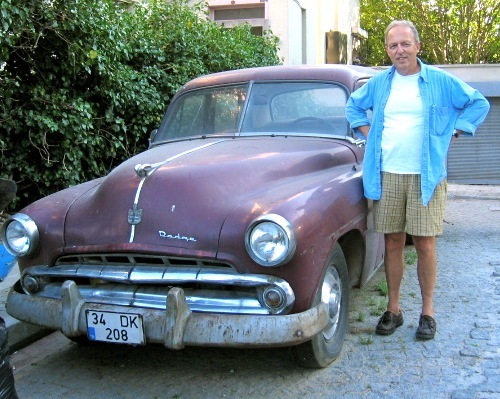 He’s a regular contributor to Automobile Magazine where his many “Collectible Classic” pieces have chronicled everything from the Opel GT and Chrysler Airflow to the Cadillac Eldorado Brougham, Olds Vista Cruiser, Volvo 780, Honda 600, Dodge Dart GT, Ford Skyliner and many, many more. 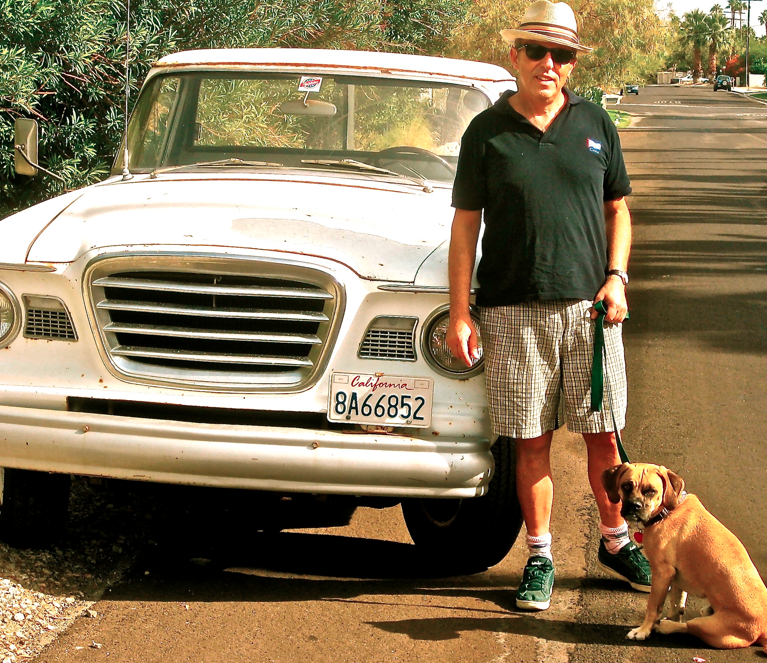 He’s written for Car and Driver, the New York Times, Los Angeles Magazine and was the Car Culture editor of LA Style. His current collection – subject to change without advance notice — includes sundry Studebakers, two of which qualify as feral, as well as a 1967 Fiat 500 Giardiniera station wagon, an Alfa Romeo Giulia and a 1970 VW Fastback. When they were new, some of today’s feral cars were the stuff of automotive fantasies– luxury cars lusted after in showrooms and brochures, station wagons that spoke of happy families frolicking in national parks, sport coupes and convertibles that promised so much possibility – adventure, romance. But that was only for a few months or years at inception. Time moves on and cars that were once sought after are forgotten. But not by us. Time and tide (and corrosion and dulled paint) ultimately take a toll and these fantasy cars, beset rust, dents, torn tops as well as trim pieces and wheel covers lost to potholes, vandals and the ravages of time are deemed virtually worthless. They’re easy to forget, supplanted by successive new crops of objects of automotive desire. But they haven’t gone away. Car guys and trailer queens.. Yes, a precious few have been pristinely preserved or restored, fetishized as sacred totems of the past but those are far from feral. Those are collector cars, many of which are rarely driven except to car shows, auctions and in parades, some never driven – the static sculpture pieces we call “trailer queens.” These are celebrated ceaselessly in magazines, websites on TV and by that fraternity of “car guys” – the (mostly) men who revere these gleaming machines and would never think of leaving them to face the elements for more than a few hours. Likewise, hulks on milk crates or moldering away in junkyards are don’t qualify. Feral cars are active, they operable and, for the most part, carry current registrations. We at FeralCars.com find delight in superannuated treasures that are “heaps” to some but steel, glass and rubber testaments to ingenuity and endurance. The ’62 Falcon Ranchero still hauling whatever it is that people haul in 52-year-old pick ups, the ’76 Chevy Impala that refuses to die and still provides semi-reliable transportation to its original owner, the ’83 Cadillac Cimarron, once the object of scorn, posited as “the worst Cadillac ever,” that still finds its way to a supermarket parking lot are sources of inspiration to us. Imports that were thought to be, essentially, disposable after a decade of service that are still on the road, sipping fuel and offering basic transportation are, likewise intriguing. FeralCars.com is a place where cars of interest, in various states of repair or decomposition are championed in the face of rampant consumerism. We’re here to shed a light on inconspicuous consumption. The average age of all cars on the road today in the United States is 10.8 years. We’ve doubled that and rounded thing off so we’re drawing the line at cars that were built at least 22 years ago. If it’s 2013, we’re talking about the 1991 model year. Seems like only yesterday, right? There may very well be a feral ’05 Mitsubishi Lancer out there but we’re not going to be interested in it until the year 2027. We’re looking forward to hearing from you..